•	Availability of make-up lessons is not guaranteed. •	Make-up lessons may be scheduled up to 7 days ahead of the make-up time. •	With continuous enrollment, make-up lessons must be completed within 60 days of the date of the absence. •	Once a make up is scheduled, it can not be re-scheduled. • Students need to be enrolled to complete a make up class. •	If you wish to take a break from lessons, a withdrawal form must be completed by the 20th of the month to avoid being charged the next month. •	No refunds if withdrawing after the 20th of the month for the following month. •	You can transfer to a different class at any time. You do not need to provide advanced notice. •	Living by our mission statement and core values in our interactions with you. •	Keeping our water warm at a minimum of 86 degrees. •	Have a CSS trained instructor for each class. Returned Checks: There is a $30.00 returned check charge for any checks returned by the bank. If CSS must cancel a lesson for any reason, we will provide a make-up class. No refunds will be given for cancelled lessons. Supervision: A parent or guardian is required to stay on the facility premises for the full duration of their child's, or child they are responsible for, lesson time. For the safety of all guests, we ask that non-swimming children are supervised while inside the facility. Swim Diaper: Every child age 3 and under and those not completely potty trained must wear TWO SNUG FITTING REUSABLE swim diapers. The risk of injury from the activities involved in this program is significant, including the potential for permanent paralysis and death, and while particular skills, equipment, and personal discipline may reduce this risk, the risk of serious injury does exist. I knowingly and freely assume all such risks of injury or loss, both known and unknown, even if arising from the negligence of the Releasees or others, and assume full responsibility for my son(s)/daughter(s) participation. I hereby release, indemnify, and hold harmless Chicago Swim School, Ltd, CSS Mokena, LLC, and FJ Holdings, LLC, their officers, officials, agents and/or employees, other participants, sponsoring agencies, sponsors, advertisers, and owners and lessors of the premises used for the activity ("RELEASEES"), with respect to any and all injury, disability, death, or loss or damage to person property, whether arising from the negligence of the RELEASEES or otherwise, to the fullest extent permitted by law. The terms of this release shall serve as a release and assumption of risk for me and my son(s)/daughter(s), heirs, executors, and administrators and for all family members. I have read this release of liability and assumption of risk agreement, fully understand its terms, acknowledge that I am authorized and empowered to sign this agreement, understand that I have given up substantial rights by signing it, and sign it freely and voluntarily without any inducement. 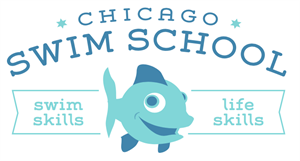 I agree that I am registering my child for the appropriate level based on their current ability and that the swim school may deny a registration if they determine the child was placed in the wrong level. Lastly, I acknowledge I have reviewed and agree to all the program agreements above. By hitting SUBMIT, I understand and agree that I am enrolling in the classes selected. I understand and agree that my credit card on file will be charged for my child's swim lessons for this month and on the 1st of every month until 12/31/2020. If I no longer wish for my card to be charged I will complete a withdrawal form by the 20th of the month so I am not charged for the following month. I understand and agree that I will not get a refund if I withdrawal after the 20th of the month for the following month. Typing my name below constitutes a legal signature confirming that I acknowledge and agree to the above policies.